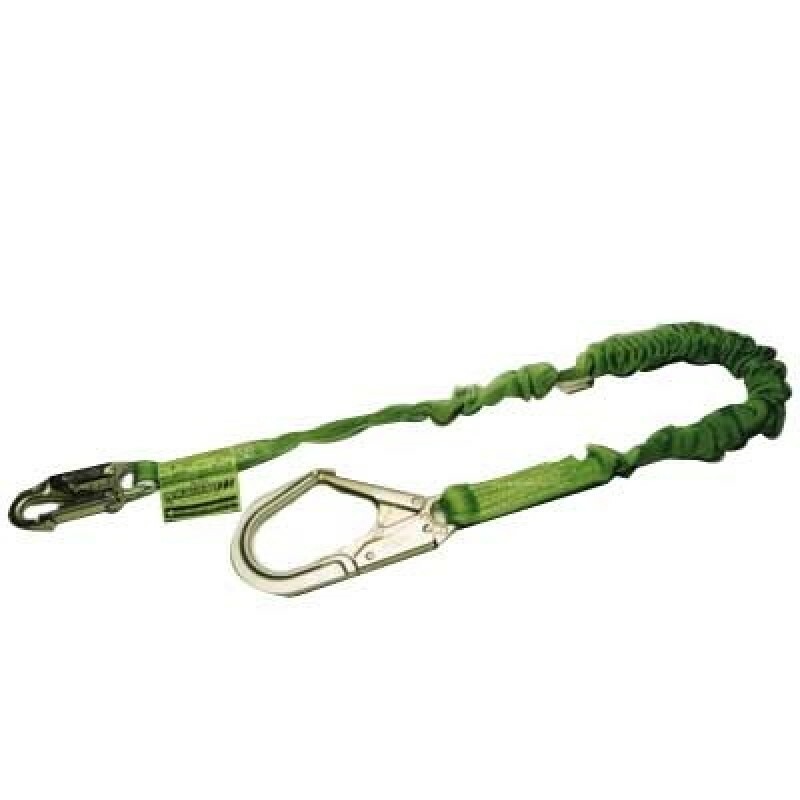 The unique stretchable design of the Manyard II keeps the 6' lanyard contracted at four feet to minimize tripping hazard and snagging or dragging. A heavy-duty outer jacket serves as a wear indicator and back-up strap to the red inner core for added safety. 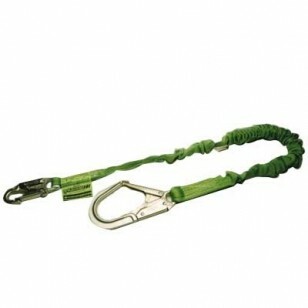 Webbing protected with Teflon HT for longer performance life. Zinc-plated rebar hook has a 2 1/2" throat opening.